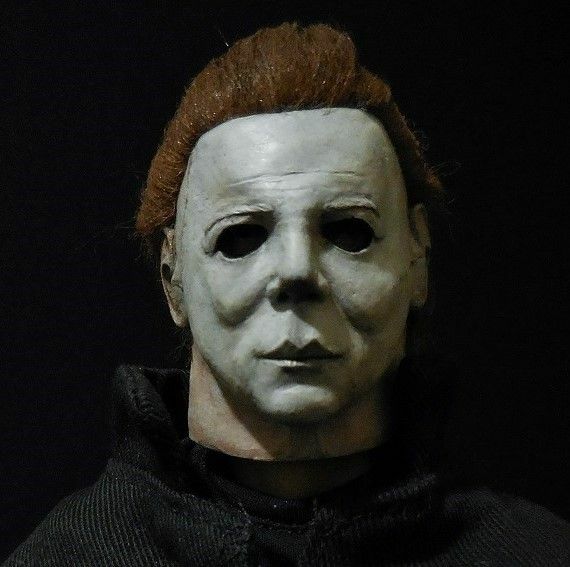 Check out this awesome video previewing companies new Halloween props and masks for 2019. Trick or Treat Studios is the first 8 minutes. The 2019 masks look amazing. I wish these trade shows would open to the public, if only for a few hours. It almost seems a crime not to share such dazzling spectacle with fans. Thanks for the peek inside, horror_man. That Hammer Chris Lee Mummy mask looks like a must have for me,wonder what other Hammer items they plan on having.Thanks thm.The mask is at 2:17. This may make me get off my wallet as well. 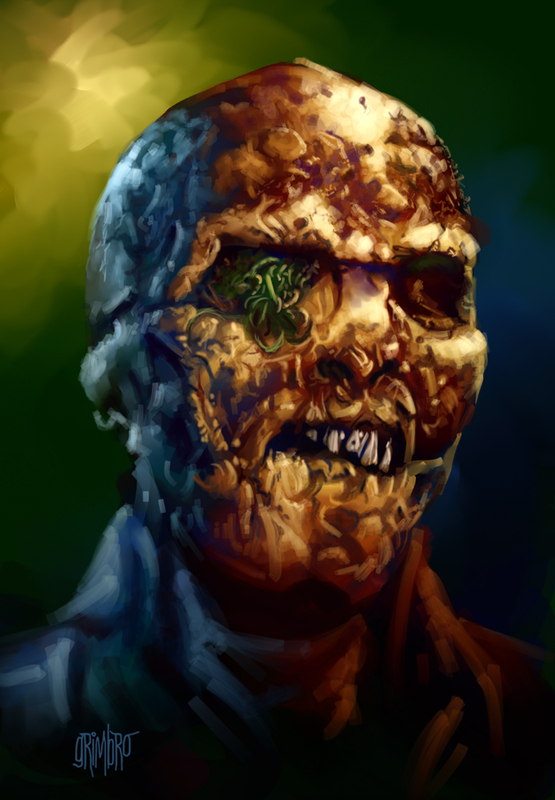 Yes the Lee Mummy mask looks amazing. Also, I will definitely be purchasing the Creepshow Harry and Becky masks. Also, the Dawn of the Dead Roger Pillow pal. They're dead...they're all messed up. 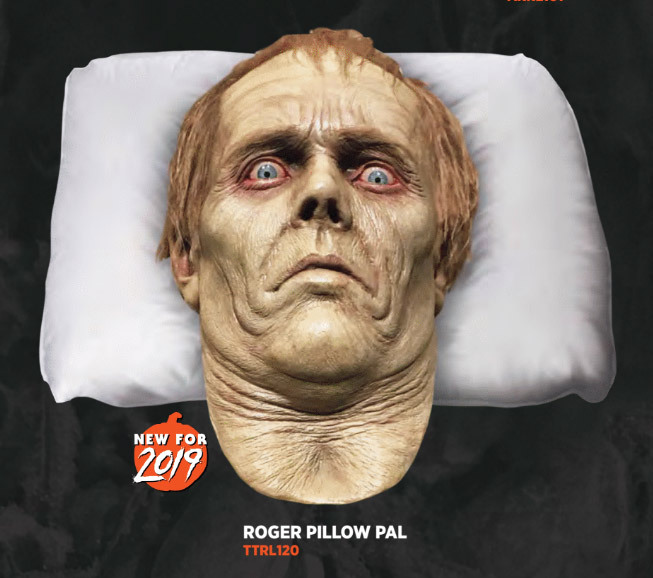 The DOTD Roger pillow pal is my top pick. Since my mask collection is in my bedroom this would be the perfect item to add. I'm also digging the Harry and Becky masks from Creepshow's "Something To Tide You Over" segment. 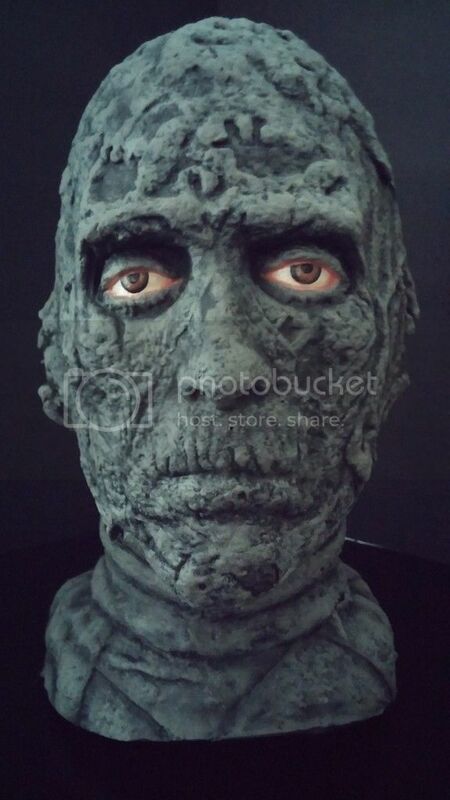 The Lee Mummy appears to be the Carol Hicks sculpt but I'm not 100% sure. Below is my copy of the original limited run offered years ago and painted by David Lady. Non-wearable it's more of a latex display bust and is thick as a brick.